THE FLATS – Tickets for the 2019 ACC Women’s Basketball Tournament, to be held March 6-10 at Greensboro Coliseum, are on sale now. Weekday session books are available for $70 per ticket. 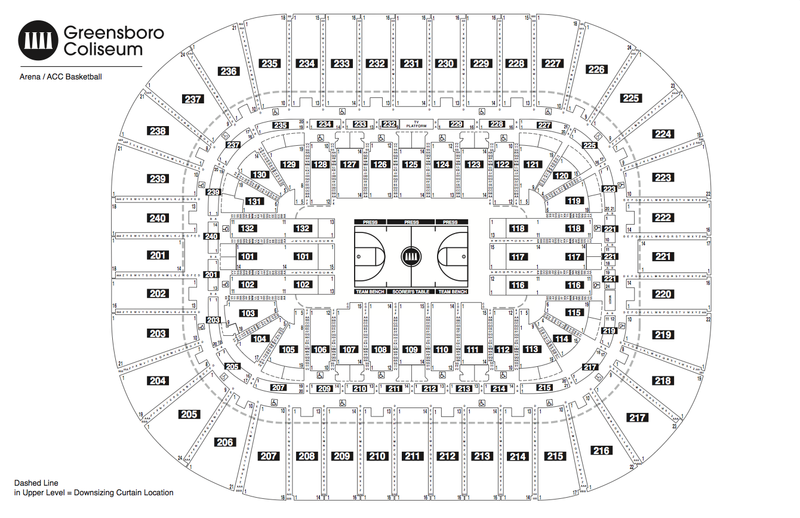 Seats will be allocated based off AT Priority Points in the Georgia Tech block in Section 123. The 2019 ACC Women’s Basketball Tournament will mark the 19th year the Coliseum has played host to the event, the most of any venue. For more information on ACC women’s basketball, visit theACC.com or follow ACC women’s basketball on Twitter @accwbb. Game 1: Seed #12 vs Seed #13 – 1 p.m.
Game 2: Seed #10 vs Seed #15 – 3:30 p.m.
Game 3: Seed #11 vs Seed #14 – 6:30 p.m.
Game 4: Seed #5 vs Game 1 winner – 11 a.m.
Game 5: Seed #8 vs Seed #9 – 2 p.m.
Game 6: Seed #7 vs Game 2 winner – 6 p.m.
Game 7: Seed #6 vs Game 3 winner – 8 p.m.
Game 8: Seed #4 vs Game 4 winner – 11 a.m.
Game 9: Seed #1 vs Game 5 winner – 2 p.m.
Game 10: Seed #2 vs Game 6 winner – 6 p.m.
Game 11: Seed #3 vs Game 7 winner – 8 p.m.
Game 12: Semifinal 1 – 12 p.m.
Game 13: Semifinal 2 – 2:30 p.m.
Game 14: Winners of semifinal contests – 12 p.m.